The 15 movies listed here are either comedies, dramas, or dramedies ranging from the innocent period romance, to the contemporary tale of illicit affairs. They’re all streaming on Netflix (no, you don’t need to order the DVD by mail). Also, if you want more, I’ve published lists of 46 Movies Set in Italy and Streaming on Netflix or Hulu Plus; romantic movies on Netflix set in New York City; and movies streaming on Netflix and set in Paris. >>Another way to get thousands of movies: Try Amazon Prime 30-Day Free Trial. I pay for a subscription and it never ceases to amaze me how much I get for it — including free 2-day shipping on pretty much everything I buy. I get lots of free movies, books, music, and more. It’s awesome. Have you seen it? I love this romantic drama set during World War Two, and starring Keira Knightly and James McAvoy. It’s about two lovers who get sadly betrayed by her sister. Based on the novel Atonement by Ian McEwan which is a very highly acclaimed, slow-paced, highly detailed piece of literature. I think this is McAvoy at his most delightful. Again starring Keira Knightly, this 2008 movie is about Georgiana Spencer’s extra-marital affair with Charles Grey, a politician (Ralph Fiennes). A young woman (Renee Zellweger) with self-esteem issues attempts to find love in this funny movie also starring Hugh Grant and Colin Firth, based on the novel by Helen Fielding. There was some shock when it was first announced that she’d play a Brit, but she nailed it. If you enjoy watching it, there are sequels. Gwyneth Paltrow does a great job as the quick-witted star of this 1996 movie adaptation of the Jane Austen novel Emma. She’s beautiful in every scene, and the costumes and scenery are amazing. 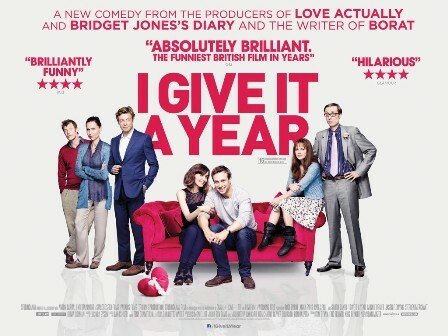 Rafe Spall and Rose Byrne play British newlyweds whose marriage starts to fall apart not long after the wedding. Filmed in London. I haven’t seen it yet. Is it any good? 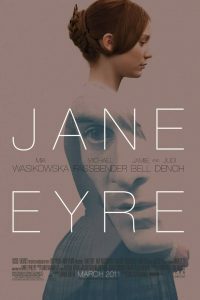 Michael Fassbender and Mia Wasikowska star in this Gothic romantic drama based on the novel Jane Eyre by Charlotte Bronte. Made in 2011, filmed in England. Fassbender is chillingly cold and passionate at the same time, a veritable volcano of pent-up desire and sadness. Mrs. Brown (1997) tells the story of Queen Victoria, who’s grieving the loss of her husband when she begins to fall for a male servant, causing political problems. 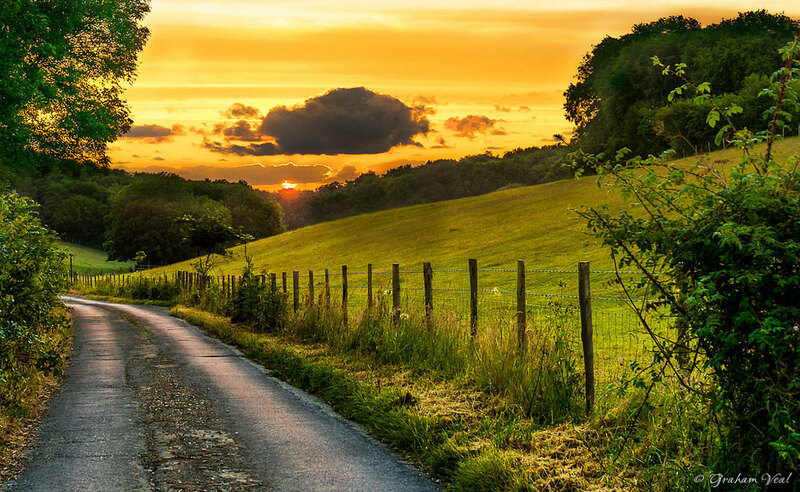 Filmed in England and Scotland. Judi Dench is in the starring role. 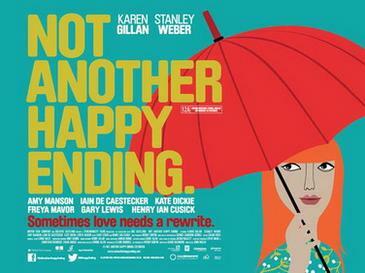 Karen Gillan (from Doctor Who) stars in this 2013 British romantic comedy about an author who finds herself unable to write because her success has made her so darn happy. If only every writer had that problem! When her publisher (Stanley Weber) falls in love with her, things get tricky. Poor girl. Just kidding. It was nominated for the BAFTA Awards in Scotland. This movie brings back cheery memories of Hugh Grant as a charming, fresh-faced, young lad living in London, who finds his life turned upside down when a famous movie actress (Julia Roberts) shows up needing a place to hide. Very cute romantic drama, in a light way. Dexter (Jim Sturgess) and Emma (Anne Hathaway) are former college lovers who meet up once a year over decades. This 2011 movie is an adaptation of the novel One Day by David Nicholls. Filmed in Scotland, England, and Paris. I think Keira Knightly does a fantastic job in this romantic comedy as Elizabeth, the star of this classic adaptation of Jane Austen’s novel by the same name. She definitely makes the character more angsty than what I pictured when I read the book, and that makes it even more intriguing for a modern audience. 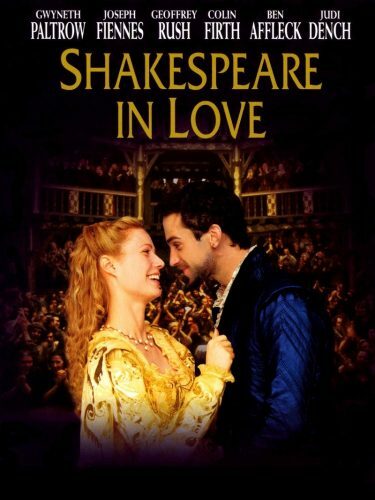 A woman (Gwyneth Paltrow, who won as Oscar for her performance in this movie, BTW) gets involved with The Bard himself, played by Joseph Fiennes. The dialogue is great and she’s very funny as a society lady playing the role of a boy. Gwyneth Paltrow (again!) plays a British woman who’s caught in time between two parallel lives in this 1998 film. I enjoyed it pretty well when I saw it, way back when it came out. While in London, an American woman (played by Monica Potter) falls for three guys that she doesn’t realize are best friends. Never seen it. Any good? Leave a comment below. A Christmas-time movie that stars lots of big name actors like Colin Firth, Emma Thompson, Keira Knightly (again! ), Hugh Grant (again! ), and more. There are multiple storylines. Know of Other Romantic Movies Set in England? Please me know if there are other great ones on Netflix that I should add to the list. Yes, North and South should have been #1. Now I dont trust the list! I cannot believe this did not make it to #1 on your list!